Howard's first degree was in Physics at the University of Manchester, graduatingin 1972. He thencontinued studies in Computer Science at the University of Manchesterand obtained an MSc (1973) and PhD (1978). 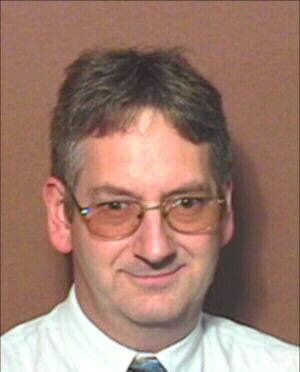 Since 1975, his career has been based at the Department of Computer Science at Manchester.From startingas a Research Associate in 1975, he obtained a lectureship in 1977, appointed as a senior lecturer in 1986 and promoted to a chair in computer science in 1987. He wasHead of Department from 1991 to 1996, and was appointed as Pro Vice Chancellor (Research) from 1996 to 2001. He has been theleaderof the Formal Methods area within the School since 1996. 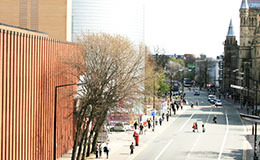 Howard has held Directorships of numerous academic related businesses, including Campus Ventures Ltd (Deputy Chair 1999 - 2001), The Manufacturing Institute, The National Centre for Business and Sustainability, and Manchester Technology Fund. Heis co-chief editor of the Journal of Logic and Computation, is an Editor of the Journal of Applied Logic, and holds the office of Treasurer of the International Federation for Computational Logic.